Cover Verse: Happy Mother's Day, Mom! 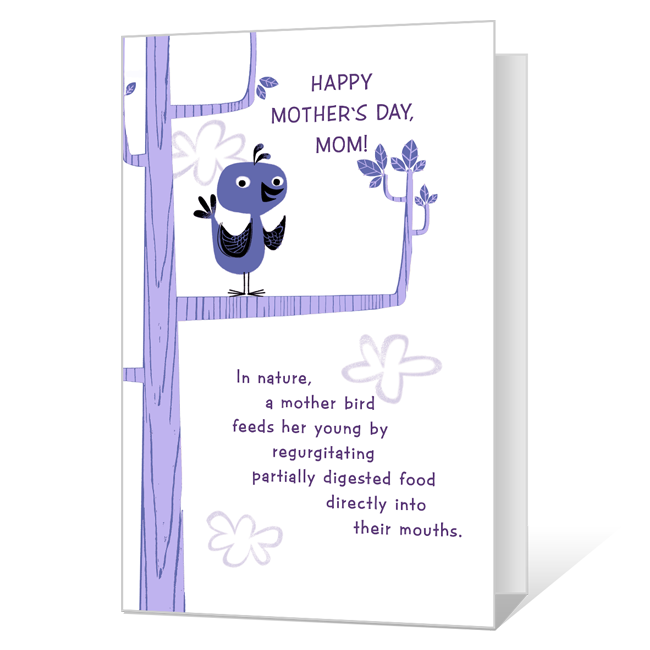 In nature, a mother bird feeds her young by regurgitating partially digested food directly into their mouths. Inside Verse: Thanks for making sandwiches instead. Love you!